Steve Delantar Benitez and I are members of the Brotherhood of Christian Businessmen and Professionals (BCBP). We call each other “Bro.” Well, it might as well be “Brew.” Because when we talk of a business that’s brewing, nobody is more celebrated. 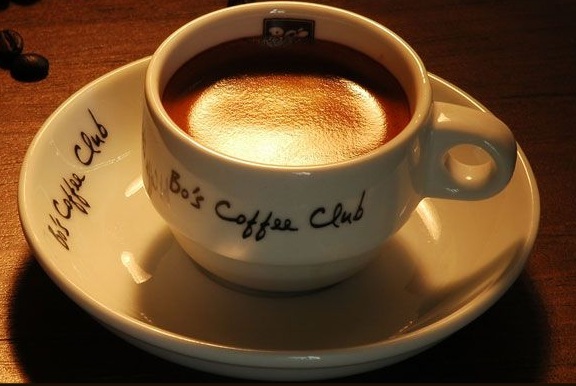 Bo’s Coffee started in 1996. Today, with 56 branches and 4 to 6 more opening before yearend, it is the nation’s No. 1 homegrown coffee chain. 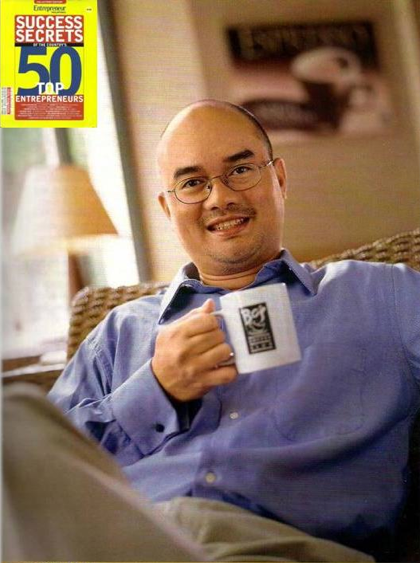 Steve, 46, is excited about the reinvention; he’ll expand their breakfast, bakery and dessert lines, plus, to differentiate the brand from American giants like Starbucks and Seattle’s Best, he’ll focus on the company’s strength: Being Pinoy. Here’s the strategy: If Starbucks brags about beans flown from Kenya or Guatemala, Steve is proud to showcase our own. “What’s fascinating about these Single Origin Arabica beans is that it enables coffee lovers to get to know the featured places in a different way through its flavor profile,” wrote the blogger, MomsHug (momizhugcom.blogspot.com). Another concept that Steve has introduced is the “pour over method.” In this era of push-button, here’s-your-cup-in-15-seconds machines, Steve is embarking on a back-to-basics style. TIPS. Steve isn’t all-work. When not traveling, he spends a lot of time with his wife, Geraldine “Din-Din” Oliva, (some say “BO’s” means “Benitez-Oliva”) and their children, Hugo, Daniela and Vito. 1) Pursue your passion. And be imaginative in pursuing it. 2) As your business grows, wisdom comes not in grabbing every opportunity but saying no to the wrong ones. It is easy to grow but saying no is difficult. Stay true to your core business. 3) Make your business relevant not only to your customers, but to your community as well. Be socially and environmentally responsible. 4) What got you to where you are, may not be the same factors that will get you to the next level. In the cycle of entrepreneurship, your strength at the beginning may become the obstacle to growth. When you hit this point, complement your weakness with the strength of others. Be open and humble.